Designed for 1982-85 2.8L 60° V6 Chevy longitudinal-mount engines. #3785/#3787 are for these engines with OEM 2-bbl. carb; 1982-85. For light duty pick-ups, passenger cars and 1982-86 Jeep Cherokees with 2.8L. Accepts stock 2-bbl. carb. 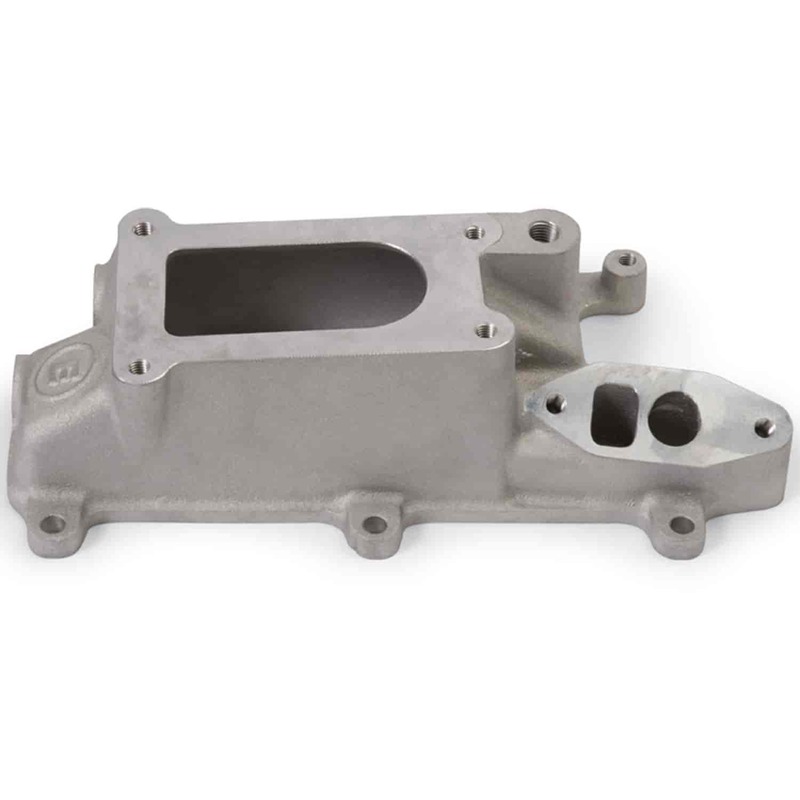 Port Exit Dimensions: 1.00" x 1.28"/1.00" x 1.71"
Manifold Height: (A) 4.37", (B) 5.45"
Linkage and bracketry come with top. When used on Jeep Cherokee, additional hood shimming is required for clearance. Hood shims available from Jeep dealers (part #J0680435). Edelbrock Signature Series chrome valve covers p/n 350-4488 are available for this engine. Does Edelbrock 3787 fit your vehicle?